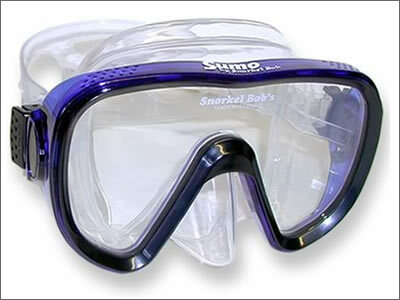 Single-lens masks are preferred by many snorkelers. 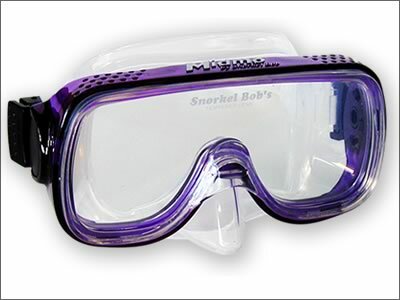 NOTE: I, Snorkel Bob, build various styles & sizes that may look similar—just as 2 shoes ½ size apart look similar. Measure yo head and refer to our mask fitting chart. 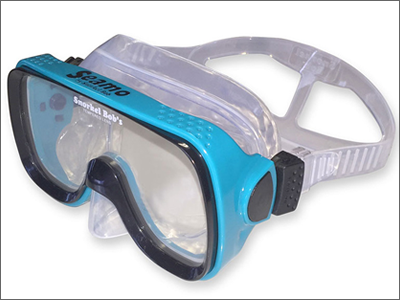 A 2-lens snorkel & dive mask has less volume than a single lens, & it can take Rx lenses for nearsighted, farsighted, astigmatism, bifocal or a combo correction. It can be disassembled for cleaning. 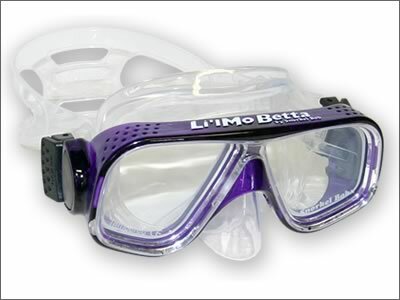 Many brands known for quality have taken advantage of their name recognition by producing low-end products for discount store sale. You’ll see these brands online and at your local warehouse outlet, but these products are not the high-end. They can’t sell the high end at these prices. Other good brands avoid the warehouse outlets, but fail to meet the demands of thousands of tourists weekly. 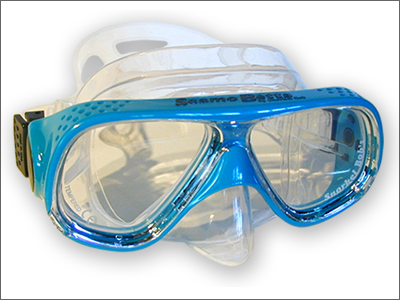 That is, their dive and snorkel equipment failed for me, SB, to stay in bidness in Hawaii without screwing the pooch all afternoon on returns, refunds and exchanges. Most brands have responded to new times with new colors and new shapes, but alas, not with new performance.